Martinis and Mascara readers, listen up! 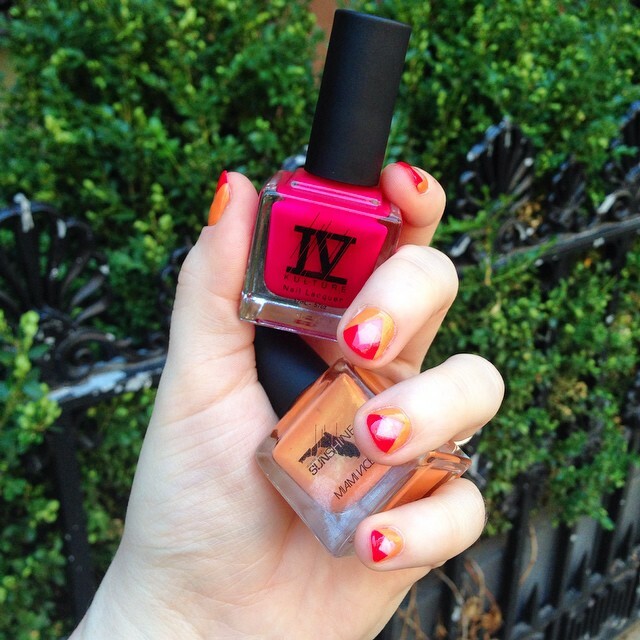 I have discovered your new favorite nail polish – IV Kulture. It is one of the few nail polish lines on the market that is free of five major cosmetic toxins that have been linked to various cancers and health conditions. Reigning as a proud vegan product, the product is not tested on animals. The lovely ladies behind the brand (they’re all stunning sisters – like a pack of classier Kardashians) sent me two beautiful shades to try out, Margarita Time and Miami Vice. Both shades are appropriately titled since these products are made with Sunshine down in my home state of sunny Florida. Want to get my look? Creating a negative space mani is super easy and creates a really trendy, high-end effect that doesn’t require a lot of artistic technique. With a thin nail art brush, paint on a thin line of Margarita Time from the center right side of the nail, diagonally up to the center tip of the nail. Fill in (with the same polish shade) to the top of the nail. Repeat on the other side. This should create the look of a red arrow (or a half diamond). 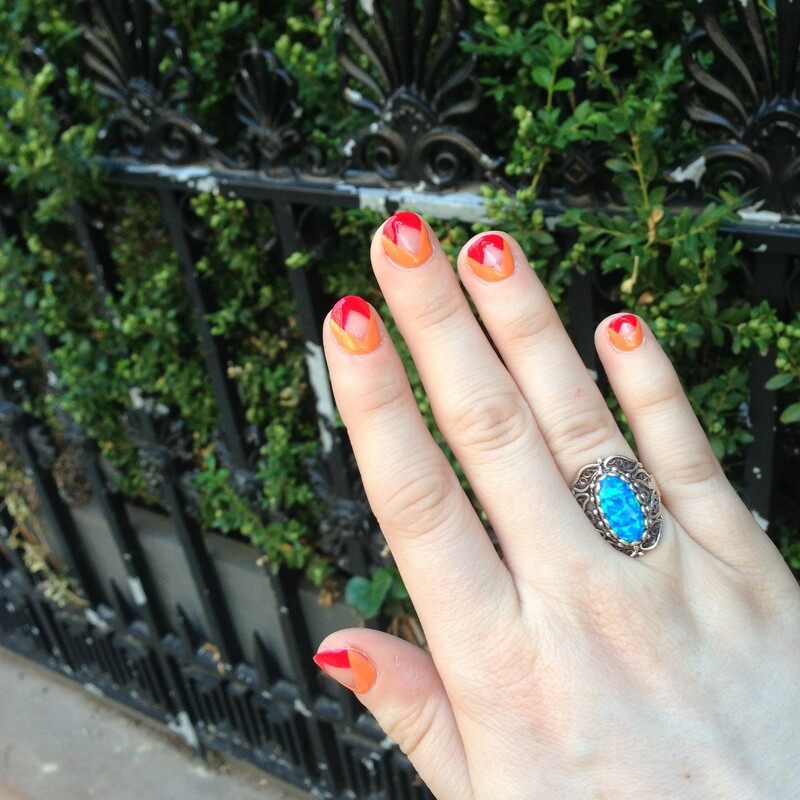 With a thin nail art brush, paint on a thin line of Miami Vice from the center right side of the nail, diagonally downward to the center base of the nail. Fill in with the same shade to the bottom of the nail, filling in the space to the cuticle area. Repeat on the other side. This should complete the look, with the bare space in the center creating a diamond. Voila! Easy and beautiful negative space mani. Ready to fill your polish collection with IV Kulture? Shop all of their beautiful shades here!